We understand that choosing a Wedding Planner Course is an important decision for you, so we want you to be able to make a well-informed decision when considering if The Institute of Weddings Wedding Planner Course is right for you. We provide you with a lot of detailed information about the course to help in your decision. Use the links below (you’ll also find links in the right side bar of each course information page) to navigate easily through the different sections of the Wedding Planner Course information. And, of course, if you have any questions, feel free to contact us – we’re always happy to assist you! Questions? Just ask! We’re always happy to assist you. Join the glamorous & exciting wedding industry as a professional wedding planner. Learn the trade secrets to successfully launch your career or business as a Certified Wedding Planner now. Train in the comfort and convenience of your home through one of the wedding industry’s longest running, most thorough and in-depth, yet remarkably affordable, Wedding Planner Certification Courses. Do you have a genuine love of weddings, and a passion for the glitter, excitement, and romance that goes with them? 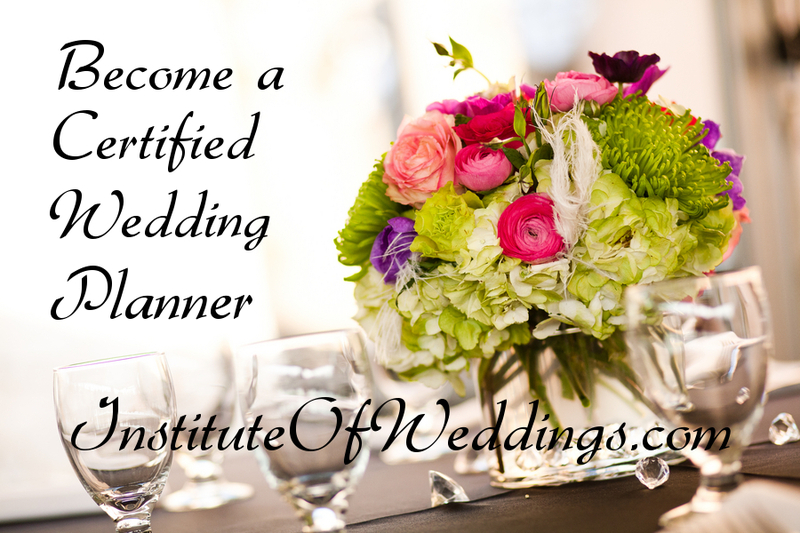 Interested in a fabulous career as a Certified Wedding Planner? Do you want to launch a wedding planning business? There could never be a better time to make your move into this glamorous profession. Though still a relatively new field, professional wedding planning is the fastest growing sector of the highly lucrative wedding industry, making this a hot career choice in an equally hot industry. Since 1999, the International Institute of Weddings Certification Course program has enabled hundreds of individuals just like yourself, throughout the world, to fulfill their dreams of successfully becoming a wedding planner. Our in-depth, yet affordable, wedding planner course and certification program has helped them in launching their wedding careers as well as their own businesses – quickly, easily, and very affordably. Now this is your opportunity to get started with your own career as a wedding planner in this exciting field right now, while demand for this profession is experiencing such remarkable growth. If you are looking for a wedding planner course that will really empower you to start attracting clients so you can begin getting paid to plan weddings soon, this is that course. If you have a passion for weddings, this is the course which will empower you to do what you love in your own wedding planning business and become a Certified Wedding Planner, as it has done for so many others for nearly two decades. It’s very common for students of this program to have their first client and be earning income from weddings BEFORE they even complete the course, thanks to the easy to comprehend, yet very in-depth training this course offers. Certainly, anyone who is serious in applying the concepts we teach will typically have clients within a short time after completing the certification program. That is how powerful and effective our brand of training is. That is how quickly students of this program can achieve results. This course has been called the most practical, most effective, and most in-depth Wedding Planner Course and certification program in the industry. For nearly two decades, the International Institute of Weddings has been credited with successfully launching the careers of wedding planners world-wide. But don’t just take our word for it – to truly understand the benefit and value you can expect from the IIW Wedding Planner course, read our extensive collection of testimonials (and we do mean extensive!) from wedding planners we have trained. The greatest testament to the value, quality, and effectiveness of this course comes in our student’s own words. When you see what our former students say about how this program has changed their lives, opened doors, and enabled them to live the life they want so easily, enjoyably and quickly, you’ll want to become part of this elite group while space is still available. Enrollment is limited and registrations are only accepted while class space remains available. Students of this program get bookings, have clients, and generate income as professional wedding planners – quickly. They learn how to launch their own profitable wedding planning business and to embark on a successful wedding planning career. This program shows you how to make it happen. In fact, within a short time of completing our program, many of our graduates tell us they are already turning clients away because they are booked solid for as many weddings as they wish to handle. When you enroll in The IIW’s convenient and in-depth wedding planner certification course and follow the fully comprehensive step by step business guidance we provide, you can expect the same to happen for you. With the benefit of our guidance, training, support and credentials, many doors of opportunity open up for our students and the wedding planners we certify. Our students and graduates have had the thrill of being invited to appear as expert guests on radio and television programs, some have enjoyed the prestige of being invited to be key note speakers for speaking engagements at events and conferences, others have won prestigious awards (including cash awards for their businesses) using the superb business skills and qualifications they acquired through this course. Many have been offered lucrative business opportunities and partnerships (such as the opportunity to be the exclusive wedding planner for major resorts, cruise lines, hotels, event planning firms, etc.). When you enroll in the Institute of Weddings’ Wedding Planner Course & Certification Program, you will become part of this elite group who get to plan weddings for a living, do what they truly enjoy every day, surround themselves with beautiful things and happy people – and earn a great income while doing it. You’ll experience the pride and satisfaction of owning your own wedding planning business in a prestige profession. It is important to make clear that although the course is offered through distance education and online learning, the help, support, and mentorship of your tutor is always just an email away any time you have a question, need advice, or even just a word of encouragement. Our course and our in-depth training materials have been specifically designed to keep you motivated and make the learning experience interesting, exciting and easy, all the while providing some of the most extensive and intensive education available anywhere in the wedding industry, world-wide. You’ll enjoy the comfort and convenience of training at home WITH the support, assistance, and interactivity of your instructor whenever required – so you enjoy the best of all worlds. All students of this program learn from the extensive experience and expertise of a leader in the field of wedding planner education – internationally recognized wedding expert, Linda Kevich, the developer of this program. This is a rare and unique opportunity to train under the direction of a dynamic, highly accomplished, and widely sought leader in the wedding industry, yet at a remarkably low fee for a program of this quality and in-depth level of training. Ms Kevich has been sought by colleges to teach this course on their campuses, and she is frequently invited by luxury resorts and hotels in exotic destinations to personally train their hospitality management teams and to share her specialized wedding industry knowledge and expertise. Ms Kevich has also been called upon to assist in the production of numerous wedding-related television programs. Throughout her career, Ms Kevich has been approached to host a television program for the E! 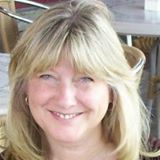 Entertainment Network, was asked to author the 3rd edition of The Everything Wedding Book (Adams media), and to produce a Fabjob guide – all offers she declined in order to keep her focus on the work she does right here at the Institute of Weddings. With a course developer and instructor whose credentials, expertise, and accomplishments that are this impressive, it is easy to see why our students learn SO MUCH under the direction of this highly experienced industry expert. The credentials behind this course are clearly second to none, and have long been unmatched by any other program in the industry. By the time you have completed this program, you will know exactly how to quickly and affordably generate paying clientele for your wedding planner business, how to get your business up and running quickly, how to win the confidence and trust of potential client’s with your professionalism and credibility – regardless of your lack of experience- how to market your business… all of the things that make the difference between an income generating, viable wedding planning business… and merely wishful thinking. Plus you’ll learn much more. We not only empower you to do that, we enable you to do it quickly and effectively. By applying everything you will learn in this course, within as little as 90 days you could be in business as a certified wedding planner – meeting with paying clients, planning weddings for profit in your own wedding planning business, and having the time of your life – all while enjoying the prestige, freedom and independence of business ownership. The International Institute of Weddings course offers some of the most extensive, highly effective, yet remarkably affordable and inexpensive Wedding Planner training and certification available anywhere in the industry. You’ll be led step-by-step through every aspect involved in successfully establishing, operating, and developing a profitable wedding planning business, and through all of the professional standards, techniques, methods and practices involved in professional wedding planning. Presented in an easy-to-follow format, the extensive course training manual allows you to learn at your own pace and will provide you with the in-depth, practical knowledge and tools you need to begin successfully working as a professional wedding planner, quickly and efficiently. Although this is distance learning course, you will never lack support or motivation, and you will never be alone during the training program – anytime you have a question, need a word of guidance, or are ready to complete the assignments, your instructor is there to assist you in a meaningful and purposeful way. She is there if you need encouragement, advice, an opinion, or some words of reassurance. You merely need send her an email, or ask for her help. It’s that easy. Developed by internationally recognized wedding expert, Linda Kevich, , syndicated newspaper columnist, published author, and frequent media source, the course reveals the strategies, concepts, methods, formulas, procedures, approaches, systems and trade secrets of highly experienced & successful professional wedding planners and experts. Ms Kevich is a highly accomplished leader in the wedding industry and personally brings two decades of wedding industry experience, expertise, and finely tuned insight to the program. This is an unique opportunity for you to learn the Business of Weddings™ directly from a recognized wedding expert – an industry leader whose credentials are first-rate, and include two decades of hands-on wedding industry experience, and over a decade of teaching, training and mentoring experience. This course provides the most practical, effective, highly specific, and thorough instruction available for successfully developing your wedding planning business, all presented in a fully comprehensive and in-depth 320+ page course manual. Precisely tailored to the field of professional wedding planning, the highly specialized business guidance we offer is second to none in the industry. Yet, the cost of our complete training program is hands-down the least expensive of any recognized and respected wedding planner course or training program in this field. Don’t let the affordable fee fool you; the wedding planner training we provide is perhaps the most thorough anywhere in the industry. It is one of the longest running and well established training programs for professional wedding planners, word wide, and is frequently updated and revised to reflect the latest information and trends. This course is the Gold Standard in wedding planner education; many other courses model themselves after our curriculum. Don’t settle for a copycat course, follow the industry leader! How can a course that offers this much be this AFFORDABLE? We’ve simply made the decision to take less profit than competing courses, so we can pass the savings on to you, our student. We’ve kept the fee so remarkably inexpensive for nearly two decades because we genuinely want to ensure this program is accessible and affordable for those who have the sincere desire to become professional wedding planners. We feel that financial constraints shouldn’t stand in the way of being able to do what you truly feel passionate about. If you’ve looked around at other courses, you already know based on comparisons that the actual value of this course is more than double the current fee we are charging. That’s easy to verify. Other programs that teach much less and lack our credentials are priced at $895 to $1000 or more. Please note however, that the price of the course is subject to increase at anytime without notice, in response to increases we experience in the costs of administering the program. This program offers a very sensible and realistic approach to developing your wedding planner business, enabling you to do so economically and affordably. Even if you are on a limited budget you can successfully enter this field under our guidance and enjoy the satisfaction and personal rewards which come with a successful career as a wedding planner. Among the twenty different highly specialized promotional methods this course teaches are numerous methods and strategies you can use to get highly effective free promotion and exposure for your wedding planner business. Not only do students who complete our program learn how to successfully develop their wedding planning businesses, the techniques and approaches we teach in this course will give you a powerful competitive edge in the business. By properly implementing our intensive, strategic, and advanced concepts, your wedding consulting business will have what it takes to absolutely out-perform your competition. That is why so many established wedding planners frequently take this course, eager to learn our trade secrets for dramatically improving their existing businesses. The wedding industry is unique in that it offers an enjoyable working environment every day (work just won’t feel like work! ), as well as the potential to earn a very rewarding income. Becoming a wedding planner is incredibly exciting, but the key to making it in this business is expert guidance, and the appropriate knowledge and training. Your wedding planner business is highly suited as a home based business, but if you prefer it can certainly be operated from an office or studio location. The services of wedding planners are also frequently used in the planning of other social events such as anniversaries, engagement parties, pre-wedding celebrations, rehearsal dinners and other similar functions, thereby expanding the overall potential for your wedding planning business. With the thorough, in-depth nature of the course material, and the personalized attention and support available to every student via email*, even with no prior experience in the wedding industry, and no previous business experience, you’ll be completely equipped to achieve substantial success as a professional wedding planner or coordinator. And if you already operate a wedding business of some form in the industry, this course will prove invaluable to you in expanding the level of service your offer your brides, and will enable you to increase revenues and profits as a result. We have many students who already have some level of involvement in the wedding industry, as well as wedding business owners who want to branch into the field of wedding planning as an extension of their existing wedding businesses. If this is the category you fit into, you’ll find immeasurable value in this highly affordable course. You will quickly learn how to successfully add full-service wedding consulting to your current business. Learn easy, inexpensive ways, specific to the field of wedding planning, to attract customers and build a fabulous reputation and clientele for your business within your local market. This program has achieved an exceptionally high success and satisfaction rate among students, which means that we turn out students who are fully prepared and confident to embark on their new career/business when they complete the course as a direct result of the training we provide. But don’t just take our word for it – read our extensive collection of student testimonials as well as some of the reference letters we’ve received from wedding planners we have trained, all conveniently published online for your viewing. Once you’ve seen what our students have to say, you’ll quickly come to understand why this program has perhaps the very highest satisfaction rate in the industry. We are proud to have so many satisfied students. See for yourself – just take a look at our enormous collection of student testimonials… and this is only a small fraction of what we have on file. You can clearly see why this program has developed a reputation for being the most practical and effective program for individuals who are serious about launching successful wedding planner businesses and careers. The International Institute of Weddings Certification Program offers a highly affordable Wedding Planner Course which provides detailed, specific, and extremely thorough instruction on how to perform successfully as a wedding planner, and how to successfully start and run a wedding planning business, all presented in an easy to follow, fully comprehensive and in-depth 320+ page course manual. The course is designed so that you can study at your own pace, in your free time, and reveals highly effective strategies to enable you to begin business operations from your own home, generating income, in a relatively short span of time. The course manual provides in-depth coverage of every topic relevant to the successful launch and daily operation of a wedding planning business or consulting service, from understanding bridal psychology through to proven marketing & promotional methods and operating procedures for the home based wedding planner, complete with proven and highly successful business concepts you can model your own business after. It guides you step by step through finding clients and establishing yourself within your local market, to the proper execution of the wedding planning process from a professional perspective. In studying the twelve lesson units in this 320+ page course manual, you will learn valuable strategies, methods, concepts, formulas, procedures, operations, processes, marketing and promotional approaches, industry information, and trade secrets which will very clearly guide you through the process of successful start-up and operation of the wedding consulting business. The course manual also offers explicit information, guidance and advice which is highly specific to this profession on how to build strong client relationships, offer exceptional service, and meet a high level of standards in working with one’s clientele – all of which are critically important factors in not only operating successfully, but in developing a strong reputation and name for yourself as a certified wedding planner. If the thought of becoming a wedding planner interests you, this course will provide you with the information and training you require to get started soon and to be in business with very low overhead and very low start-up expenses, all while enjoying the comfort and convenience of working from home. This form of business is suitable for either part time or full time operations. After you’ve built up your reputation within your local market and have a thriving business, you may, if you so desire, expand into an outside office or studio location. However, most professional wedding coordinators and consultants, in fact, prefer to continue operating from home because of the many advantages that offers. Such advantages include, but are not limited to, tax advantages, comfort and convenience, and of course, family benefits. If you’ve recently been involved in planning, or paying for a wedding, you are likely well aware by now that WEDDINGS ARE BIG BUSINESS! Every year a whopping $45 billion dollars is spent by consumers on their weddings. The wedding industry is a healthy, thriving, prosperous market to enter for anyone who has a genuine love of weddings, great people skills (a must! ), and who is looking to establish a business of their own. Have you looked at the cost of planning a wedding in your area recently? Today’s bride is spending more money than ever before in order to ensure that her wedding day – the single most important day of her life – is planned to perfection. In the US and Canada, the average wedding in 2002 came in at a cost of approximately $23,000. By 2015 the cost of the average wedding had jumped to $31,000, and many couples spend far in excess of that amount. And it’s not just in the US and Canada that weddings command such cash. Big money is being spent on weddings in countries all around the world, and as such, the field of wedding planning is growing on an international basis. Wedding planners play an important role as professionals within the industry. Wedding planners can save the bride time, money, and considerable stress. A good wedding planner will be a wealth of information, ideas, and contacts for the bride-to-be, ensuring that her wedding day ends up being more wonderful than she had even envisioned it, and often times far more spectacular than it would have been had a consultant not been involved. As such, professional wedding planners are compensated well for their knowledge, talent, time, and expertise. Through the Institute of Weddings’ Wedding Planner Course and Certification Program, you can acquire the knowledge and training required to become a professional wedding planner, quickly, conveniently, and extremely affordably. The easy to follow Wedding Planner Course training manual makes learning the business of wedding planning extremely straight forward. With well over three-hundred and forty pages of instruction, the material is thorough and precise, and leaves no stone un-turned. The manual itself offers some of the most extensive training available anywhere in the field of wedding consulting. The material presented in the manual is presented in such a way as to virtually draw a ‘road map’ for the student to follow in successfully establishing their business and functioning as a professional wedding consultant. But then add to that the support of an instructor which we provide, free of charge, to all students who purchase the course material*, and the level of training provided through this program is unsurpassed at this price point, or anywhere close to it. Other programs offering the level of in-depth and intensive training found in this course typically come at a price of at least double or triple the cost of the Wedding Planner Course and Certification Program offered by The International Institute of Weddings. With the guidance provided in this course, anyone with a genuine love of weddings, good people skills, and the desire to enter this business will have the tools and knowledge to achieve success in this profession. You’ll be guided step by step through every aspect of planning and coordinating a wedding, consulting with the bride, and of course, establishing, operating, marketing, and promoting the business. We’ll show you powerful, well tested and proven methods of attracting clients and getting them through your door! And if you ever have questions or areas which require further clarification, your instructor is just an email away. This course gives you the skills and knowledge you need to begin a career consulting with brides and coordinating weddings in a business of your own in the very near future. Enjoy the comfort and convenience of working from home – we’ll show you proven methods for doing it highly successfully and very affordably. Weddings are big business and there are wonderful profit margins to be enjoyed in wedding coordination for professionals who are trained, responsible, and serious about what they do. Simply follow each step laid out in the training manual and you’ll soon be assisting couples in planning breathtakingly beautiful weddings that your clients will be thrilled with. Then just watch your business sky rocket through word of mouth referrals from satisfied customers — very common in this business! This is a condensed version of the Wedding Planner Course Outline. You can view the complete course outline on the Wedding Planner Course curriculum page. •Contracts – How to develop contracts for your business; how to negotiate vendor contracts for your clients. •Bridal Attire – Protecting the bride’s interests in the ordering and purchase of bridal attire, formal wear, etc. •Types of Wedding Ceremonies – What the wedding planner should know about both civil ceremonies, religious ceremonies, and non-denominational ceremonies. Includes a breakdown & discussion of ceremonies according to the various religious denominations (Jewish, Catholic, Hindu, Protestant, Mormon, etc). •The Wedding Ceremony – An overview of the fundamentals from a wedding planner’s perspective. •Vendor Selection – Criteria used by the Professional Wedding Planner when evaluating and selecting wedding vendors. Want More Detail? Take an In-Depth Look At the Complete Course Curriculum. Upon satisfactorily completing the course, the student will receive Certificate of Completion, and will be certified as a professional wedding planner. In order to receive the certification for this course, the student will be required to successfully complete two assignments / tests to the instructor’s satisfaction. The first assignment /test is required mid-way through the program, and the second at the end of the program. Naturally, students must also, in the opinion of the instructor, meet the qualifications, standards, ethics, and ideals necessary to successfully and responsibly serve the client as a professional wedding planner. Love Weddings? Ready to Make Them A Career? As previously stated, you need absolutely no prior professional wedding industry experience to successfully use this course to launch your wedding planner career or business. What is required, however, is a very genuine and strong level of interest, enthusiasm, and excitement for the field of weddings, an aptitude for this profession, and a character and personality suitable for the role of professional wedding planner. The course will show you methods to quickly generate client interest for your services. All the while, you’ll enjoy the luxury which comes with being a home based business owner. Your opportunity to earn an excellent income, as well as the pride and self-satisfaction of business ownership, while doing something you already enjoy, is within reach. This course is one of a kind in terms of the level of in-depth, fully comprehensive instruction offered on this subject matter at, or anywhere near, this price extremely low point. If you have a passion for weddings, this is the wedding planner certification course which will empower you to do what you love in your own business as a professional wedding planner, just as it has done for so many others. Each and every one of the wedding planners whose career was launched through this program took their first important step toward their exciting new career when they made the decision to go after their dream and enrolled in this course. We guided them through every step thereafter in making the dream a reality. We hope to have the opportunity to do the same for you. Excited by the prospect of planning weddings for a living? Impressed by the track record and reputation of this program? Enroll now to avoid disappointment. Enrollment in the program is limited in order to maintain a good student to instructor ratio. You have up to one full year to complete the course if required, so if you choose not to begin your studies for a period of time after you have registered, that is perfectly acceptable; you will have the security of knowing you are enrolled and that your place in the program is assured. Read what students have said about this program! Isn’t It Time You Start Doing What You Love? The pride & self-satisfaction of a career as a Certified Wedding Planner is now within your reach – Isn’t it time you started doing what you love? At our low course fee, anyone who has ever had the desire for a career as a professional wedding planner, or to own their own successful wedding planning business, now has the ability to realize that dream. For the individual who is serious about a satisfying career as a wedding planner, there is simply no reason not to go after your goal – this wedding planner certification course makes it both attainable and affordable, like never before. **Limited time pricing. Price subject to increase after 30 days unless otherwise indicated. Payment plans available.